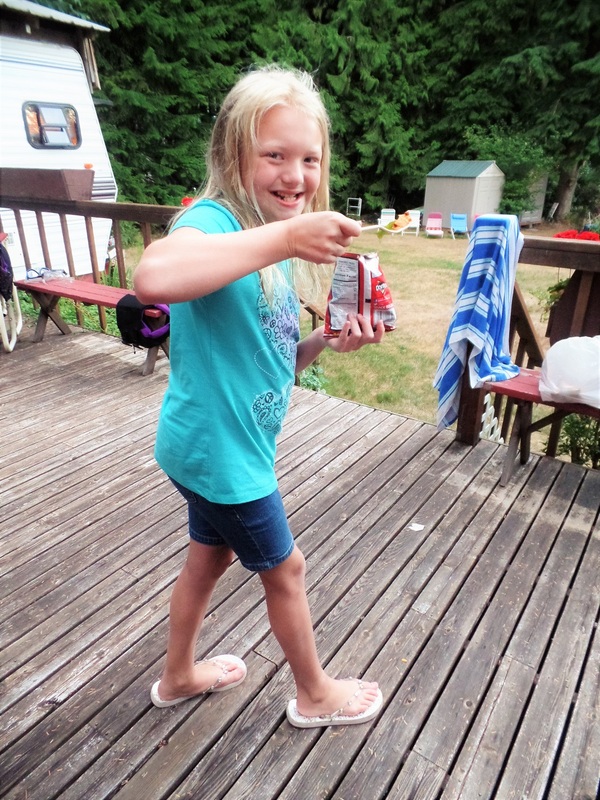 We just returned from not one, but two mini camping trips. My siblings and I went on an untold number of camping trips as kids growing up. Camping is so FUN when you are young. I've come to realize now, that camping is only fun when you are a kid, because it is a lot of work for the grown-ups! 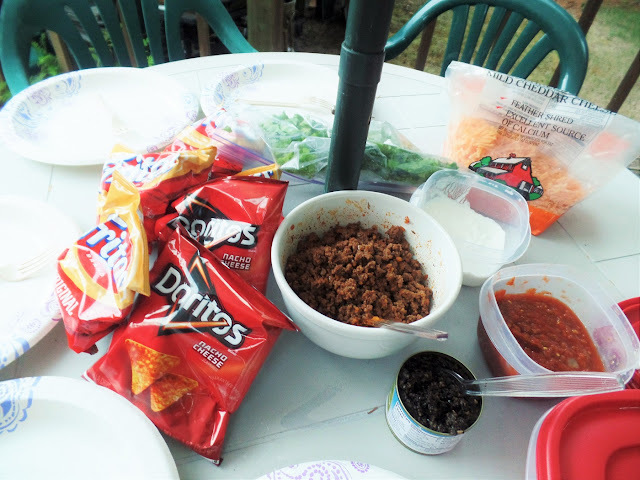 The "fun" for moms on a camping trip is, how to bring and prepare food ahead of time so that less time has to be spent doing meal prep during the actual camping trip. I hate doing dishes. I don't want to make dirty dishes, or heat up a bunk house oven if I don't have to when I'm suppose to be on vacation. My goal for our trips was to make enough things for dinner that were fun, yummy, but the key word for me was EASY PREP and EASIER CLEAN UP. 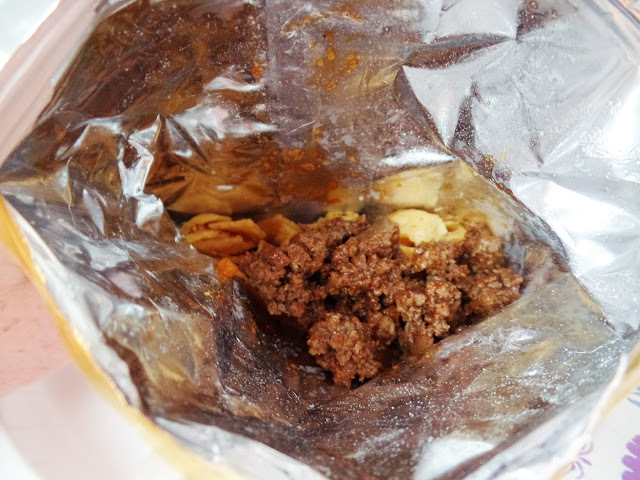 Flash forward to "Walking Tacos"
Oh sure, they are all over Pinterest right now. I surely did not invent them. But I did decide to try them, and I'm here to report they were the biggest win win with the kids and adults alike. 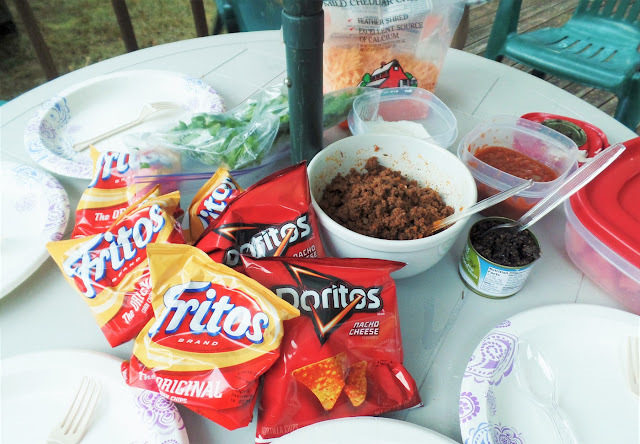 All you have to do before your trip is cook your favorite taco meat, bring along all the side fixin's you would put in a taco, and toss in some individual bags of Fritos and Doritos, and you are in business! All you do after that is open your favorite bag of chips. 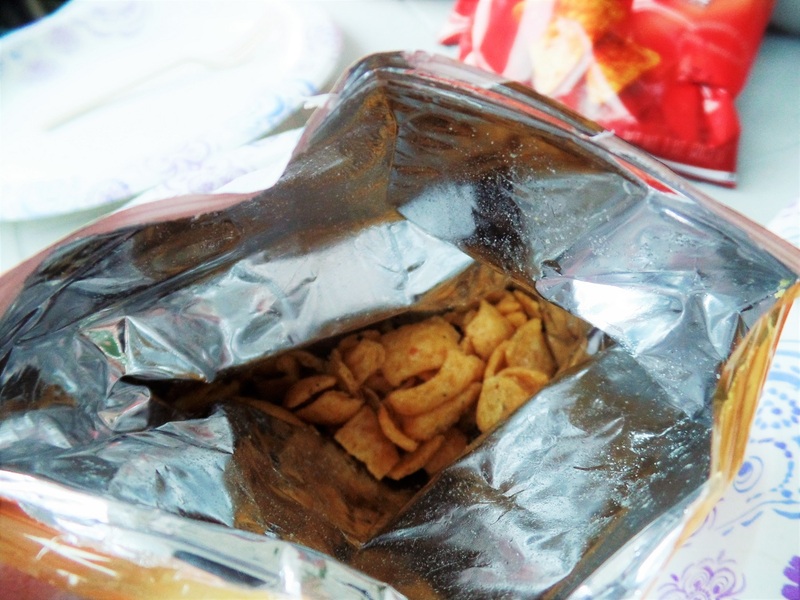 Crunch them up a bit. 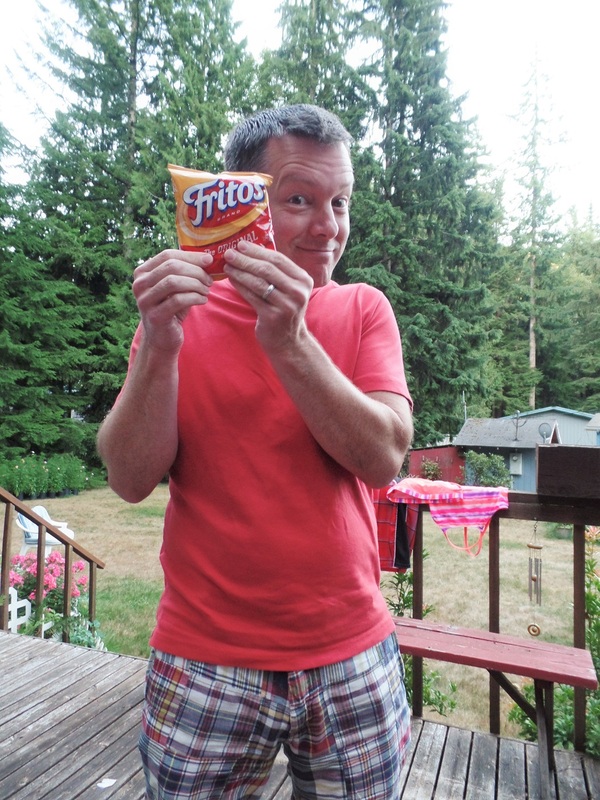 Do not underestimate how much the small fry will love crushing up a bag of chips. Very satisfying! My youngest does not enjoy the lettuce so much, so her completely customized creation was more of a meat n' cheese scenario. 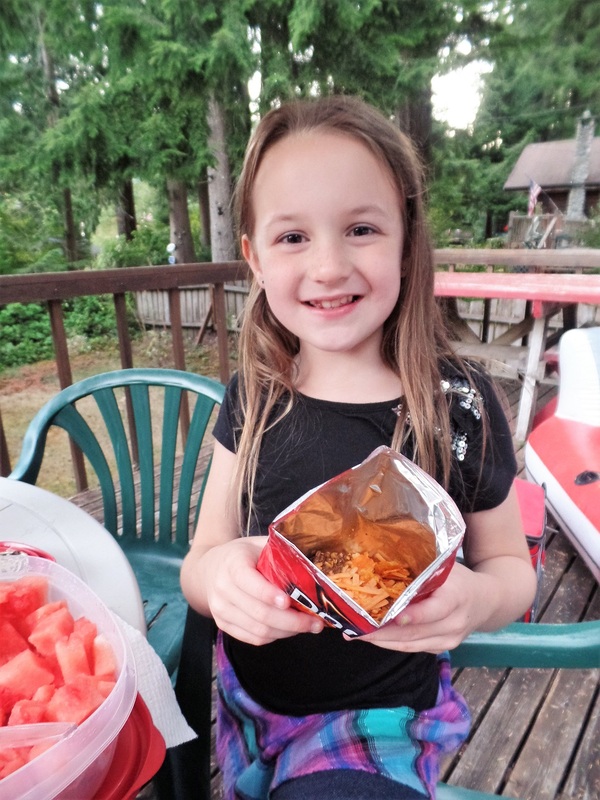 She also chose Doritos instead of Fritos. Kids LOVE having it "their way" let me tell you. "Nothing green to see here, carry on..."
Finally I put in a scoop of salsa and a scoop of sour cream, (which made it's own taco salad dressing of sorts) and a few sliced olives. 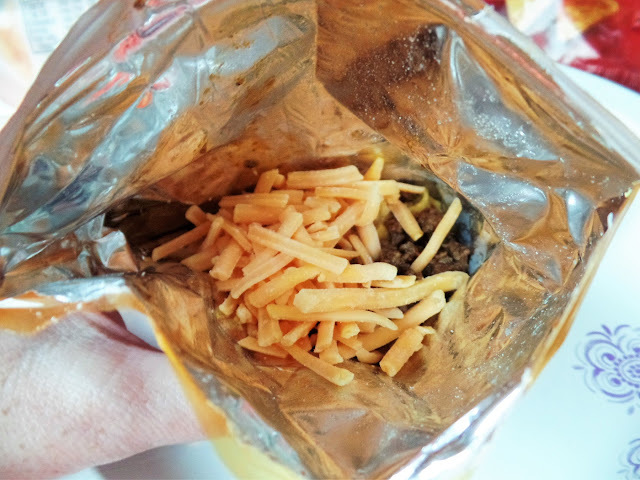 After that, shake everything up inside your chip bag. There was some flipping bags over and stirring of forks at this part. The kids thought this was FUN! Now it's time to dig into your creation. 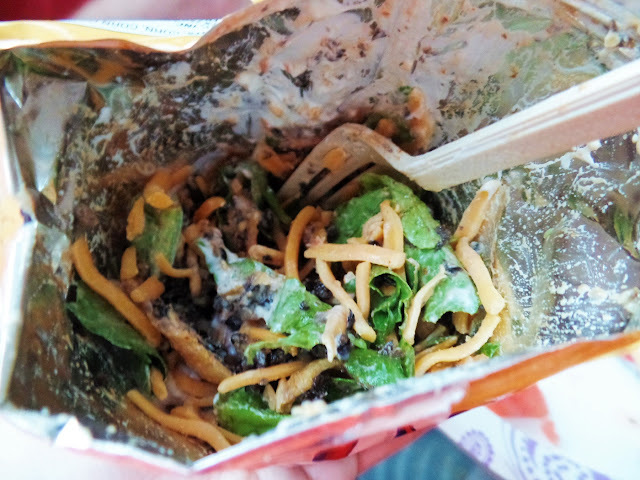 It was a perfect little taco salad in a bag if you will. Not that pretty, but delicious! 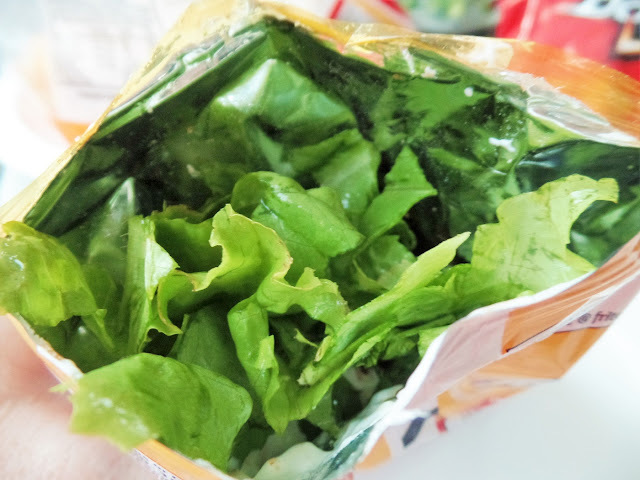 The kids could customize the bags to their tastes and add only the toppings they wanted. 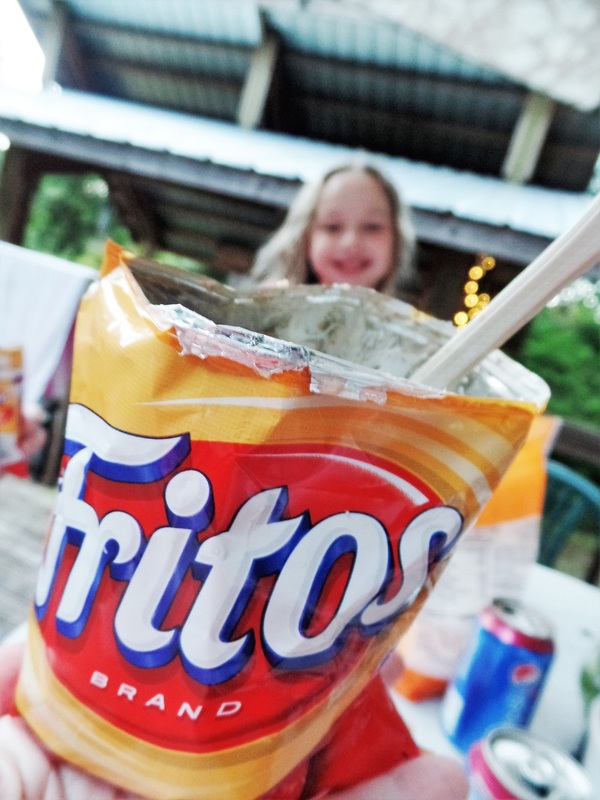 They loved that they were eating out of chip bags like bowls. 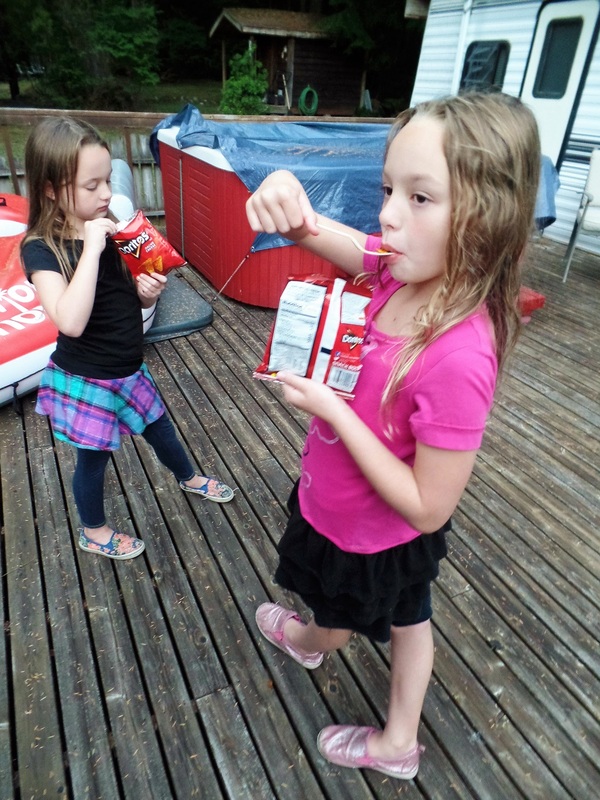 My girls loved the name "Walking Tacos" almost as much as they wanted to demonstrate they could walk and eat tacos at the same time. And, the other fun fact in this kid friendly dinner, is the clean up. Toss your bags and forks into the garbage and you are done! Didn't even need plates if you don't want them. This little dinner would not only work great for camping, but anytime you need to feed a crowd. I could see this working for a youth group game night, a slumber party, or when you have the little league team over for their big awards night. It really was an easy thing to make, and we will totally make these again soon. Maybe in the luxury of our own kitchen, just for kicks! Technically these are an Americanized version of Dorilocos. That's a good thing, because Dorilocos are TERRIBLE!